The EliteBook 8470p is meant to be a portable workhorse type of computer and it delivers great performance for everyday office work and media tasks. Because it’s a business machine you won’t find Windows 8 on it, but instead Windows 7 Pro, which has been installed via Windows 8 Pro downgrade rights. It’s powered by an Intel Core i5-3360M CPU, which has a frequency of 2.8GHz and integrated Intel HD 4000 graphics. It also comes with 4GB of DDR3 SDRAM and a 500GB, 7200rpm hard drive. As for battery life, the EliteBook 8470p put up a good showing of 4hr 1min in our rundown test, in which we disable power management, enable Wi-Fi, maximise screen brightness and loop an Xvid-encoded video. It’s a 55 Watt-hour battery that sits in the spine and is easily removable. There are options for a second battery, too, which can be docked to the bottom of the chassis and which will add to the already hefty 2.3kg weight of the notebook. The user comfort of this laptop is very good, even though it feels solid and a little heavy. It comes with a matte screen, a good keyboard, a large touchpad, and it has plenty of built-in ports. The keyboard is an interesting one though. 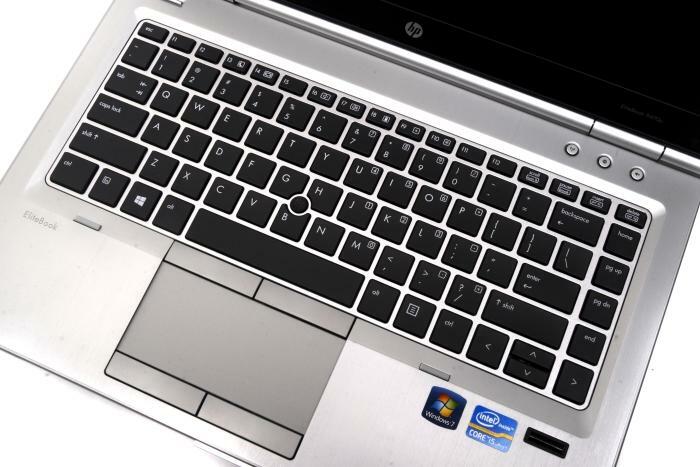 Its keys are not as crisp in their feel as the ones that we used on the EliteBook Folio; they feel a little softer and more squishy. That’s not to say they are bad. In fact, it’s a very good keyboard that’s a pleasure to type on for long periods of time, mainly because the keys are full-sized and responsive. The up and down arrow keys are small though, and there is a TrackPoint with a concave tip in the centre of the board, but that didn’t get in the way while we typed. The touchpad, which is 100x50mm is soft to the touch, but it turned out to be a little frustrating in our tests. In particular, taps were not always recognised the first time, which meant that we either had to tap again or use the physical buttons to initiate an action. We couldn’t find a setting in its software to change its sensitivity to taps, but in the end we got use to it. With a native resolution of 1366×768, the 14in screen on this laptop won’t blow you away. It’s decent though and we love the fact that it won’t be prone to reflecting light sources located behind you as you use it. Still, we would have liked a higher resolution panel, even 1600 pixels wide if not Full HD, which would make it better for multitasking and working with applications that benefit from larger areas, such as spreadsheets. The screen also comes with a light that shines down onto the keyboard. This is used because the keyboard is not backlit, and while it’s fine as a bit of ambient light at the top of the keyboard area, it can’t replace the effect of a good keyboard backlight. The left has the power connector, FireWire, USB 3.0 and the DVD burner, SD card slot, ExpressCard/54 slot and smart card slot. 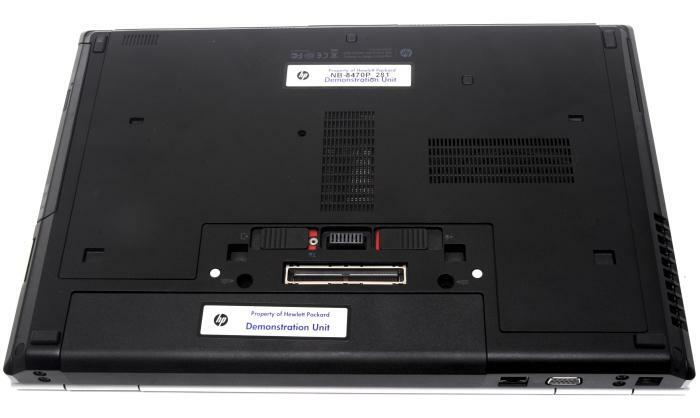 Gigabit Ethernet, VGA and dial-up modem ports are on the rear. The right side has audio ports, USB 2.0 (including eSATA), DisplayPort, the exhaust vent and a cable lock facility.